The A380 has had a really tough run. The first A380 started flying just about 12 years ago, and at the time many of us thought it was the plane of the future, given that the number of people traveling globally is increasing significantly. But unfortunately aside from the airlines that initially ordered the plane, it has been a bit of a failure. For several years now there have been talks of Airbus ending A380 production due to lack of demand. Then at the beginning of 2018 Emirates gave the A380 a new lifeline. Emirates loves the A380, and has over 100 of them in their fleet. They’ve been able to use the A380 to scale their operations in a way that no other airline has. 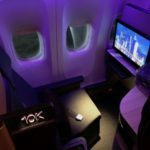 Other airlines have instead opted for the 787 or A350, which are smaller aircraft that are easier to fill. In early 2018 Emirates signed a memorandum of understanding to acquire 36 additional Airbus A380 aircraft, including 20 firm orders and the option for 16 more. The deal is valued at 16 billion USD based on list prices, though I think it’s safe to assume that Emirates got significant discounts. Since then, there have been reports that Emirates was reconsidering this order. Specifically, an impasse had been reached regarding the engines on these newly ordered planes, as there were drawn out talks regarding the price and fuel burn of Rolls-Royce engines that are already falling short when it comes to performance parameters. Then a couple of weeks ago we learned that Emirates was reportedly exploring the option of switching some orders for the A380 to the A350, which would almost certainly spell the end of A380 production. Well, now it looks like the end of A380 production may be announced even sooner than many of us expected. As reported by Reuters, Airbus’ board is meeting today, and tomorrow the aircraft manufacturer will announce their full year earnings, and sources suggest that they will provide an update regarding the A380. Airbus is allegedly trying to get Emirates to convert some of their A380 orders to the A350, while British Airways is apparently considering a few last-minute A380 orders, assuming they can get the price they want. But what’s interesting is how soon production could end. It’s not just that an announcement is imminent, but it could be that we see production completely shut down within a year or so, depending on what kind of a deal is arranged. We’ll probably know more tomorrow, but it sure seems like the end of A380 production may be very near. It’s interesting that British Airways is allegedly interested in a few more A380s, though frankly I’d be surprised if any sort of a deal is reached there. Do you think Airbus is imminently announcing the end of A380 production? Sadly the Airbus A380 came to market 10 years too late. Ideally it would have arrived in the early 1990s with the A340 , when 747 orders and hub to spoke were still the key ways of flying. KLM, Air NZ and JAL are the sort of airlines I expect might have ordered the a380 in the 1990s. Now like Concorde, although an engineering marvel and however much loved by passengers, the giant has no freight option and is getting more out of step with what the industry of airlines, airports and fuel economy now demand. Always struggled to understand why this failed. You look at certain routes and it just doesn’t make sense why an aircraft of this size didn’t work. EVA has two 777 leaving LAX at the same time – couldn’t you replace both with the 380? Sad to see it come to an end. Probably 30-40 years too early. Just a little head-up, Lucky. Don’t know if you already know that (or if the source is reliable enough) but this website had an interview with Mr. Al-Baker, and he said that Qatar Airways is going to replace is A380s with 777xs after the airframe turn 10 years old (which will happen around 2024). 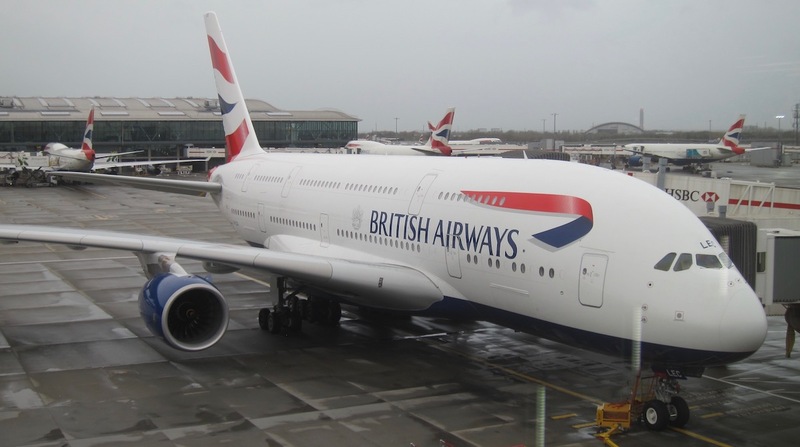 Over the last few years British Airways has made no secret about wanting more A380s, but has publicly stated the price is too high. I’d assumed that was all part of a negotiating position. If production really is coming to an end and it’s now-or-never, I wouldn’t be surprised to see a cheeky last-minute BA order. The plane does seem to work for them on some of their routes. Quite sad to see an innovative product fail. I still feel as if the A380 is a “new” product. I remember seeing a sketch of it in a book when I was a kid and it was a set unnamed (A3XX). I thought it was so exciting…sad to see it go. Having said that, I’d like to acknowledge that Boeing’s strategy of more point-to-point flights with the 787 has been a real game-changer and I’m grateful to have options that don’t connect through the likes of JFK, ORD, etc. @Jack I would imagine that for EVA there are two factors: Fuel burn being the main one in that the A380 comes in at 49lbs per mile and the 777-300ER at 30. Add in the increased seats of two 777-300 over one A-380 (adding maybe an average of 200 more seats to total capacity – which I assume the market can handle). I imagine the bean counters figured out it was a better way to go. This has long been the issue of the A380. Maybe the A380 line could be re-tooled to crank out a lot more A350’s. @Stuart, in adition to that, the A380 makes little sense in EVA’s fleet given that probably LAX is the only route that is “suitable” enough for the aircraft, so there is no reason for the airline to incoporate a small fleet of A380s (and all the huge expenses that come along) to be deployed in just one route and otherwise seat idle or fly less-eficientely to other destinations. This is not such a big deal. A380 production already ends on a daily basis when the workers go home for the night. Aircraft manufacturers should focus on building a quality product as opposed to cutting costs and making a profit. If I were to start an airline, I would exclusively fly A380s, with lie-flat seats throughout the cabin, on regional routes such as GNV-BNA. Where is the a380 made? Same place as a350? Or different facility? The A380 was the right product at the wrong time. I remember when it was first announced the future of air travel was going to be ‘hub and spoke’ and no one was going to want to fly from (for example) Nashville to London Heathrow, they would fly from LHR to JFK and connect from there. But that isn’t what happened. Fuel-efficient, smaller, long-range jets appeared which enabled airlines to fly long-haul routes that wouldn’t be viable with bigger planes. So we now have more and more long-haul routes connecting what could be considered as ‘secondary’ cities which is why you can now fly direct from LHR to Nashville. Also, people want a greater choice of frequencies now as well. So while a twice daily 777 service could be replaced with a once daily A380 service, people want the choice of when they fly. You feel it’s time will come again. There are too many high density, high population cities in Asia. If the development of the countries continues and with it the number of passengers, some of these routes must eventually become viable only with the a380. Thinking Beijing to Shanghai etc. The problem for Airbus must be that they think that it is 10/20 + years away and aren’t willing to bleed money in the meantime to keep the production line on call, especially as you would expect they could see an uptick in demand coming. It feels like loosing a close relative. It will be missed. The best plane EVER to fly. Love flying the A380. It was quite a thrill the first time. Shame that it’s come to this. However Airbus try to spin this it’s a huge failure. I’m curious to know what quantitative values are being used as a litmus test for “failure”. It clearly filled a requirement for some airlines who’ll continue to have them in their fleet for many years to come. What specifically makes it a failure as opposed to, say, “a marginal success”? I’m mixed about this. Yes, it was an amazing experience to fly the A380 in First or Business class. Flying in a completely full economy cabin as an economy passenger, however, is not pleasant at all. AR – Losing money? I’m sure designers etc feel proud to have an engineering success, but the sole reason for Airbus’s existence is to make money. The A380 lost a lot of money I believe. @AR – the A380 is likely to be a failure financially. The most recent estimate I could find quickly was that the breakeven point for the programme (including amortization of development costs) is 420 aircraft, and as of now only 313 have been ordered (with 234 deliveries, presuming Wikipedia is up-to-date.) That includes the planes currently on order for Emirates. So if the programme ended today, it would fall 107 frames short of breakeven. And that’s not even considering “opportunity cost”, or what Airbus could have done with the money instead of developing the A380. The aircraft is not a technological failure, and it’s popular with most travelers…but financially, unless something changes soon it will have been a financial bloodbath for Airbus. It wasn’t a failure, just fell short of lofty expectations. They sold a lot of planes. It worked out well for single hub airlines that have access to cheap fuel. It’s a heavy aircraft, expensive to fly and has limitations on which airports it can use (and probably requires investment to modify those airports). This concept might return in the future if predictions are correct that airline travel will increase exponentially in 20 years. @Stuart If there is a technical issue EVA is only down one plane and can still move passengers. Also having 2 flights versus 1 shows a bigger presence at that airport. Why can’t it just hold on for 10 more years until the demand picks up. I remember this planes first flight. Why did it fail? There seems to be endless routes that this plane could mesh with perfectly on. Just 10 more years until the global demand hits a peak, then they’ll be glad they never killed it off. At that point just redesign the wings and engines. Just 10 more year A380, please.. I used to love playing a game called Transport Tycoon… ca. 1995? In it you had Concordes and A380s (yes, back then!). Funny how both ended up being a loss and never made the long term mainstream. Standard old single deck subsonic tubes still rule. Aborting such a beautiful aircraft is a shame! All the comments above fail to understand the true issue with the A380. It is way too heavy and the operating costs PER SEAT are way behind other planes even though it should have the economies of scale behind it. Compared to the 787-9, the A380 carries roughly 100kgs more weight PER SEAT. 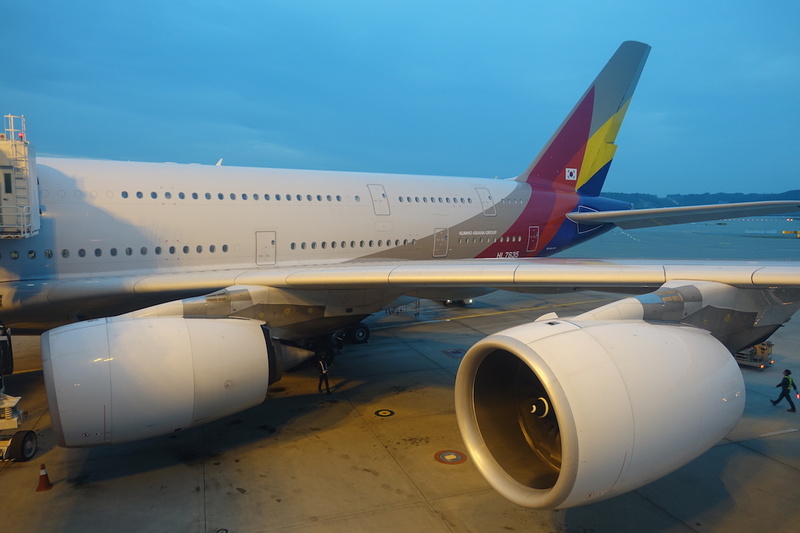 In addition, the A380s engines are a generation behind. To look at that another way, two 787-9s will carrying approx the same number of passengers as a single A380 but two 787-9s give a combined take off weight approx 50,000kgs LOWER than a single A380 whilst using engines that are more efficient per unit of thrust. Put simply, the A380 costs more to operate per seat than any other jet in production. It’s really Airbus’s fault for building a plane so *&%$ing big it couldn’t fit in pretty much every airport. I’m sure BA would have ordered 50+ (like they did with the 747-400) if it could have fit in the footprint of a 747. With EVA, the only places an A380 would work are their regional routes (Hong Kong, Tokyo, Singapore etc.) and SFO/LAX. For both, they have two flights that leave pretty much at the same time, so those could be consolidated. With that, it’s not really worth it to have 8 of a type (A380) vs ~12 of a type (77W) they already have almost 40 of. Also, EVA is severely restricted on flying to anywhere west of Taipei, as they have to fly though HK airspace on their way out. @ dmodemd – look up openttd – Transport Tycoon has lived on. No surprise that the A380 and Concorde haven’t worked out if the real issues behind them are considered. Concorde didn’t really work on a large number of routes over land due to noise issues with the sonic boom and it didn’t have the range for many over sea routes. Operating costs were another issue which is shared with the A380. The operating costs in Transport Tycoon for all the vehicles were ridiculously low. What do you mean EVA has to fly through HK airspace and why does that limit them? Stuart, your arguments are conflicting. A secondary route like Nashville to Heathrow won’t have demand sufficient to meet multiple flights each day. Yet you say the A380 failed because people want choices/multiple flights. The A380 would enable choices at hubs which is what enables multiple selections e.g. you could have multiple NY-LHR A380 flights, and multiple connecting flights from Nashville to New York to enable that. There may be merit to heitl’s argument – not sure on the numbers though as Airbus still claim it’s the most fuel efficient – and Boeing certainly wouldn’t let them get away with that if that was false. But there isn’t to your argument, Stuart. Boeing examined the economics of a double decker aircraft on many occasions over the span of many years and correctly choose not to compete. 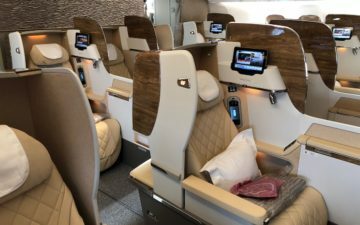 Having flown in all three cabins of the EK A380 there is really only one cabin in which the aircraft excels and that is F.
In J it’s like a huge zoo. Too impersonal for a special occasion. And in Y you have to be crazy, or be small, or just love binging on 400 channels of crappy entertainment. 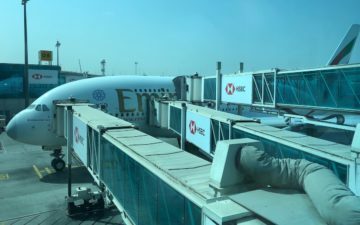 My worst ever flight was DXB-DFW in Y on EK! 16 hours of pure torture. Bad seats, bad food and bad service! There is another possible option. The 747-8 has redesigned wings and an extended upper deck. Lovely intimate J class! Best in the world. The lower deck is still reasonably intimate compared to the A380. Although Boeing has apparently put all their eggs in the 777X basket I, for one, would much rather see Boeing also investigate the option of replacing the 4 engines on the 747-8 with two of the newer high efficiency turbofans. While the A380 was still in production it wouldn’t have made a lot of sense. But now there is a void that could be filled with a re-engined 748-8. Having just flown on the upper deck of the Queen of the skies, I would choose a 747 over any other plane including the A380.